Woodworker that use a drill press, has most likely witnessed one drill press problem or the other at one point in time. There are some common drill press problems that can be addressed once the cause has been identified. In this discussion, we shall be going through a number of these drill press problems, we shall also be looking at drill press troubleshooting and providing solutions to all of these problems likely to be encountered with a drill press. As mentioned earlier, they are a variety of issues that a drill press user can experience, their causes, and their remedies. Now if this is the information you wish to learn, then stay put. We are about to tell you everything you need to know. Some drill presses including the new ones or the ones used for a while may go wrong at some point throughout the years of use. What is the cause of the drill press not starting and how can it be addressed? Does that have something to do with the installation/setup? The answer is here. The drill press machine not properly plugged to the power source can cause this. Low line voltage below what is expected or required of the drill press is also another causative factor. Loosed connection, breakages, defective switch and motors can also be responsible for your drill press not starting. Making sure that the drill press machine is well plugged to the power supply cable. Constant inspection of the fuse is also needed. When a faulty fuse is found, it should be replaced immediately. The plug, cords and auxiliary cable should also be inspected for any breakage whatsoever to it. When a break or cut in the cable is detected, it should be replaced immediately. Also, defective switch and motor capacity should be removed and replaced with the best working ones. Not delivering the required speed is another major drill press problem. The variable speeds are an important attribute for a variety of jobs, and any compromise in that might affect the end output. What causes a drill press not to deliver at the required speed? Power line carrying power from the main power source to the drill press being overloaded can cause this. Used of undersized supply wires also make it difficult for the drill press to work effectively. The drive belt tension being high can also affect this. To use a drill press for woodworking or similar projects, you need to use a moderate drive belt tension to deliver at its required speed. Low line voltage and motor malfunctioning cannot combine to cause the drill press not to deliver at the expected speed. Reduce the load that is placed on the power line. Disconnect every other thing connected to the power cable. Make use of wires equal to the size of the capacity they should be carrying. Reduce the tension that is placed on the drive belt bringing it to an average level. Make use of a higher line voltage and address issues that surrounds the motor malfunctioning. Excessive vibration is one of the common drill press problems. What causes excessive vibration and how can it be addressed? When the spindle or table handles go faulty, the drill press is likely to witness excessive vibration. High power voltage can also be responsible for excessive vibration of the drill press. Make sure the drill press works at a power rate that is very stable at all times. A power stabilizer can be best to secure this. Make sure the spindle handles are well and in place all the time, in use and out of use. After a while of long usage, many drill press users begin to notice that the motor starts over heating excessively. What causes excessive motor heating and how can it be checked? An overloaded motor after a while of use is definitely bound to experience overheating. When nothing is done about it, the heating grows and becomes excessive. Restricted air flow to the motor can also cause it to overheat excessively. The motor needs ventilation to keep it at an average temperature needed by every drill press motor to function. Allow for steady and unrestricted air flow into the motor. Anything that is likely to interfere with the air flow of the motor should be taken away. The workload placed on the motor should also be reduced. It should work at an average workload that doesn’t stress it beyond its limit. Stalling motor affects the overall functioning of a drill press and can cause it to crash faster than expected. What causes stalling motor and how can it be solved? One major cause of stalling motor, is overfeeding the material with feed drill bits. When too much drill bit is passed into the material, it affects the motor and causes it to stall. Making use of a dull drill bit when operating the drill press can affect the motor and result in stalling motor. Damage to the motor or improper maintenance of it can result in the motor stalling. A regular and timely maintenance which if possible replacing the motor will be very helpful to keep it in the best working condition. Dull drill bits when found should be replaced immediately with more active and fitting ones to return the drill press to effective working ways. Less drill bit should be fed into the material. Every material should make use of the required drill bit expected of it. Bits wandering is another problem experienced by woodworkers when making use of the drill press. Its causes and possible solutions have however been outlined below. Bits wandering is caused mainly by excessive feed rate. When bits fed into the material gets too much, the bits begin to wander. Chuck jaws holding the bits not being in place or firmly secured can bring about bits wandering. Make sure that bits being fed into material are not too much. Feed materials with the required number of bits per time. Also make sure that the chuck jaws are firm and properly tightened to keep the bits in its place. The spindle getting dry can cause the drill press to begin making noise excessively thereby producing really loud noise. Loosed pulleys have ask been major causes of excessive noise witnessed by a number of drill press users. Constantly grease the spindle to avoid it from going dry on a timely basis depending on how often and how long the drill press is used. Woodworkers many times experience a situation where the wood begins to splinter underside this affecting the accuracy of the outcome. What causes the wood to splinter underside and how can this be corrected? The singular cause of this is when the work piece lacks the support needed in terms of back up material to keep it firm. Make use of scrap woods or pieces under the current work piece to give it all the support it needs. Wobbling drill bits both the metallic and glass ones are a problem many woodworkers encounter when making use of the drill press. What causes this wobbling drill bits and how can you solve the problem? Wrong or incorrect installation has been the major reason why bits wobble. For bits to function well, they have to be properly installed well in the chuck. Incorrect sharpening of the bits before putting them in their place also contribute to wobbling drill bits. A bent bit or a totally damaged shank can also cause the bit to wobble while being used. Bits should also be well sharpened before placing them in the chuck where they should be. For damaged bits and shank, nothing except a replacement can be done to them. Replace damaged shank immediately to avoid further damage to the drill press. Do you encounter issues of binding and slipping work piece and have been wondering what causes it? Then, here is the cause and solution to slipping work piece. Unsecured bits or improper installation of them is what is responsible for binding or slipping work piece. To solve this, all you need to do is to install the bits properly and ensure they are well secured in its place. The work piece being formed and in place is very necessary when working with a drill press, and this fails sometimes as work pieces loosen. What causes work piece to loosen while in use and what is the solution for it? For the work piece to be firm, it has to be supported by a clamp that fixes it to the table. When this clamp or support is absent, work pieces begin to loosen. Make sure the work piece is well fastened to the table and supported with the clamps made available. Sometimes while making use of the drill press, you will begin to notice that the quill returning gets too fast at some point, and too slow at other points. What is responsible for this fault in quill returning and what can be done about it? The spindle return spring is what is responsible for the upward and downward movements of the spindle. When this spring has an inadequate tension, it results in the too slow or too fast returning of the quill. To correct t this, all you need to do is to make the required adjustment to the tension of the spindle return spring. Another of the many drill press problems is the issue of the chuck being dislocated while in use. What is responsible for chuck dislocation and how can it be fixed? The major cause of chuck being dislocated is the presence of dirt, debris or oil on the inside of the chuck’s taper or the taper of the spindle. Also, you might not have removed/replaced the chuck properly the last time you tried. Grease, oil, dirt and particles found in the chuck or spindle should be removed. Regular maintenance will help you spot all of these, and bring about quick effectiveness to your drill press. 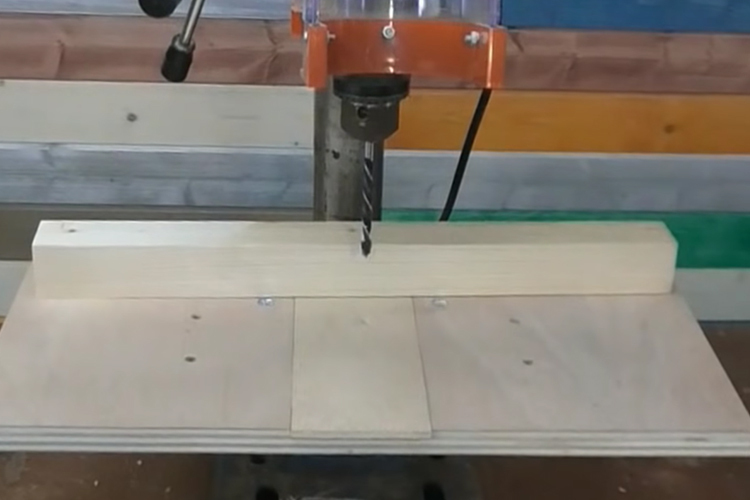 The digital read out of the drill press which keeps the woodworker inform of the drill press’ work rate is likely to start malfunctioning after a while. What is responsible for the malfunctioning of the digital display/read out and how can it be corrected? The major reason for this is a shift in position of the digital sensor which causes the digital display to work. When this shift happens to the sensor, read out starts malfunctioning. Seek the help of a professional who understands the operation of the digital sensor to help return it to its place. In a situation where a replacement is needed for the sensor, contact your manufacturer for technical assistance. Even though a lot has been said about drill press fixes, let us quickly run through some additional tips that will help drill press troubleshooting. Regular maintenance of the drill press is the best way to maximize the lifespan of your top-of-the-line drill press. So a regular maintenance plan to keep your drill press at a high performing state should be drafted. As soon as a damage is spotted, correctly immediately as later might be too late. Some damage if not corrected can cause more damage to other parts of the drill press. So when a damage like cuts, breakages among others are spotted, it is best to correct them immediately. When you seem to be confused, stop and seek technical assistance. When you have done all that you know to do to rectify a drill press problem, stop. 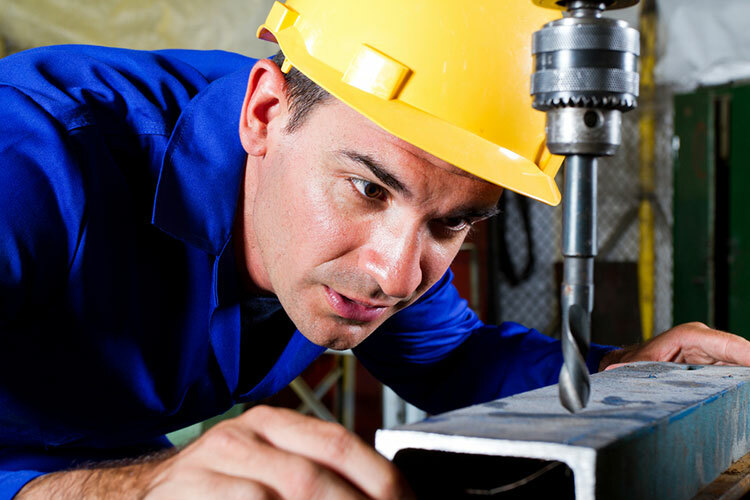 Seek technical help to address issues drill press troubleshooting is not solving. With all of these drill press problems and their solutions provided, is there a way you can avoid these problems? Yes, and that is by a regular maintenance of the drill press machine. Drill press fixes will not be much needed when adequate maintenance plan is out in place for your drill press machine at all times.